(1 ea.) XLR-male and (1 ea.) 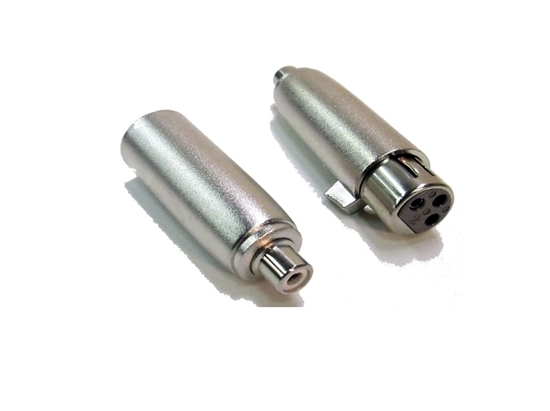 XLR-female-to-RCA-female adapters--Changes XLR time code or audio IN and OUT connector to RCA jack type connector.